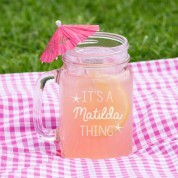 Give something a little different with this cool customised mason jar. A wonderful gift for any friend or family member, the design is laser engraved with their name and surrounded by some bold stars. 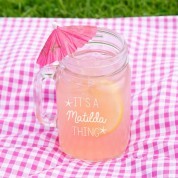 The perfect gift to enjoy at a BBQ, or on summer nights spent enjoying cocktails in the garden. 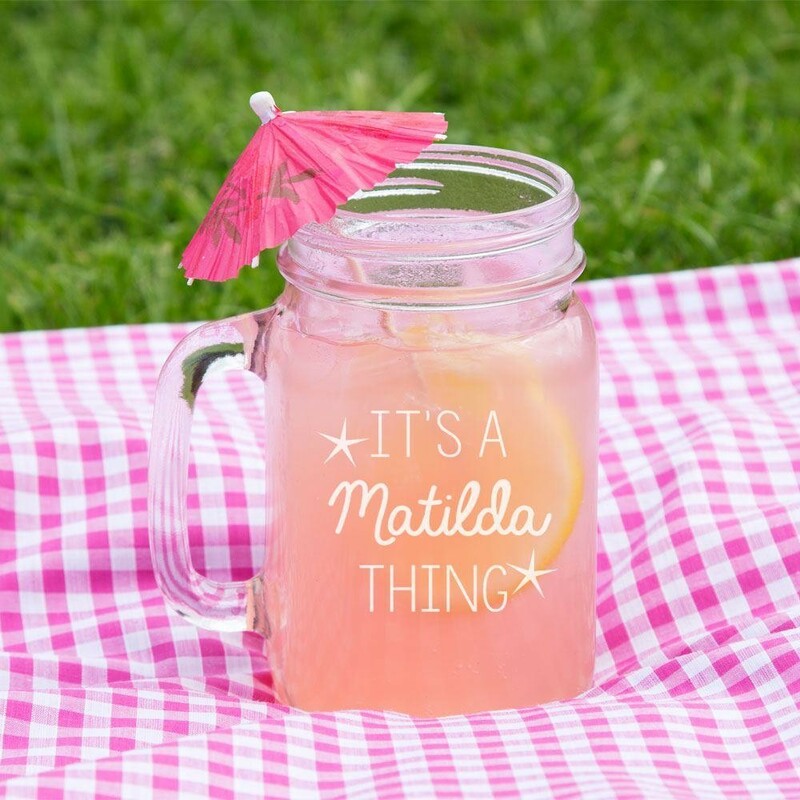 Team with your favourite drink and some crazy straws to really give you that fun feeling. 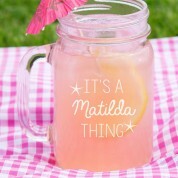 The jar is made from glass, with a sturdy handle and can hold 16.5 oz (approx 470ml).